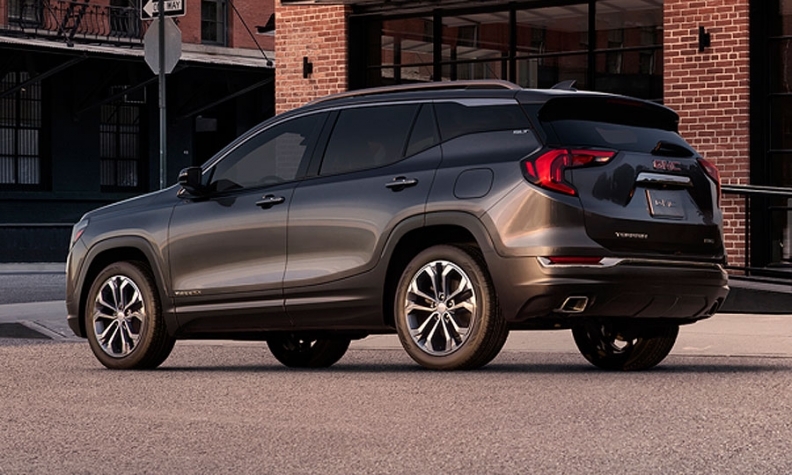 The 2018 GMC Terrain compact crossover retains a distinctive profile while gaining a more sculpted and aerodynamic appearance. 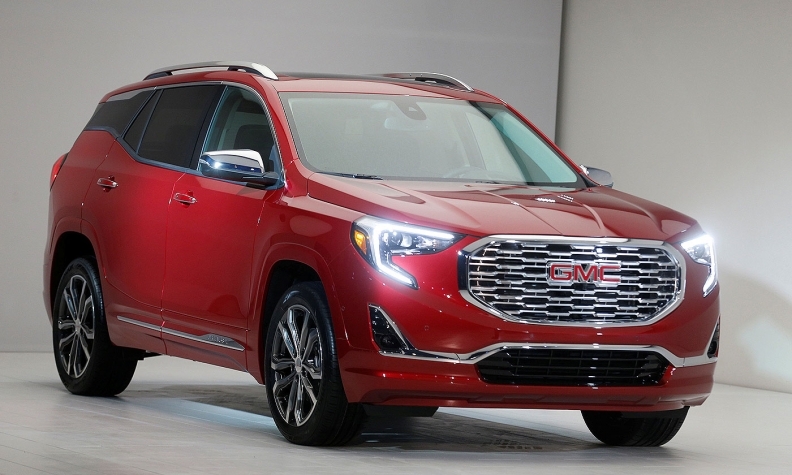 DETROIT -- The GMC Terrain, for its first redesign since arriving eight years ago, is dropping more than 180 kilograms (400 pounds) and getting a trio of smaller, turbocharged engines, including a diesel. The Terrain’s new styling marks the “next chapter of GMC’s design language,” General Motors said ahead of its unveiling at a Detroit art museum on Sunday. The compact crossover retains a distinctive profile while gaining a more sculpted and aerodynamic appearance. 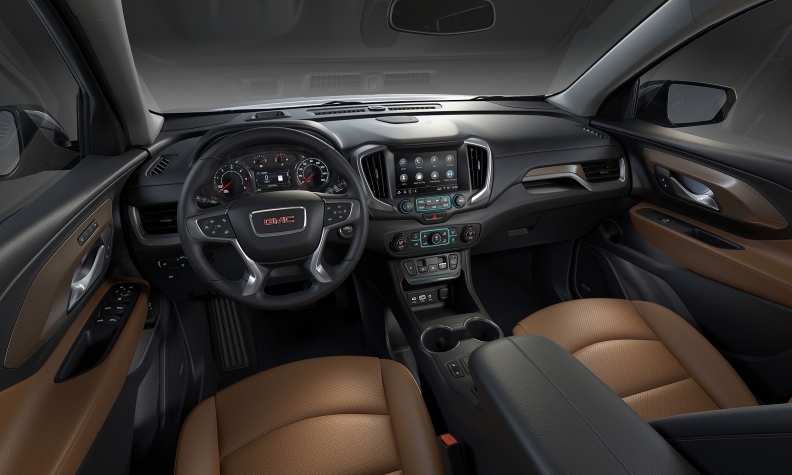 On the inside, designers added aluminum trim, soft-touch materials on the doors and instrument panel, and fold-flat seating for greater cargo-carrying versatility. An electronic shifter and new under-floor compartments behind the rear seat also increase storage capacity. GMC has sold more than 700,000 Terrains since 2009. But the vehicle, built in Ingersoll, Ont., is showing its age, with U.S. sales falling 22 per cent in 2016, the largest decline of any compact crossover still being produced. The 2018 Terrain, scheduled to reach dealerships this summer, follows a similar blueprint as the redesigned Chevrolet Equinox going on sale in the next few months. Specifications provided by GM show the Terrain is about 12 per cent lighter than the outgoing version, and its length is about eight centimetres (three inches) shorter. 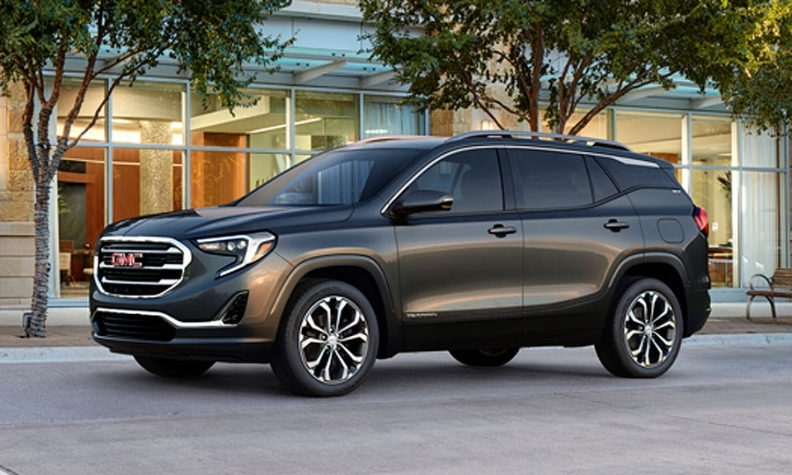 As with the Equinox, the 2018 Terrain gives buyers the choice of either a 1.5-litre or 2.0-litre turbocharged gasoline engine mated to a nine-speed automatic transmission or a 1.6-litre turbodiesel. Those options replace the 2.4-litre four-cylinder and 3.6-litre V-6 that power the current Terrain. GM did not say how much fuel economy would improve. A Denali version will feature a signature satin-chrome grille and accents that include body-color fascias and lower trim, chrome roof rails and side mirror caps, and 19-inch ultra-bright machined aluminum wheels.